Photo courtesy Neil O'Brien Entertainment. Photo courtesy Neil O’Brien Entertainment. Joe Bonamassa isn’t one of those names in music with ‘round the clock radio play or a big presence at the Grammy Awards or on MTV. For all that, his concerts frequently fill arenas and large theaters all around the world. 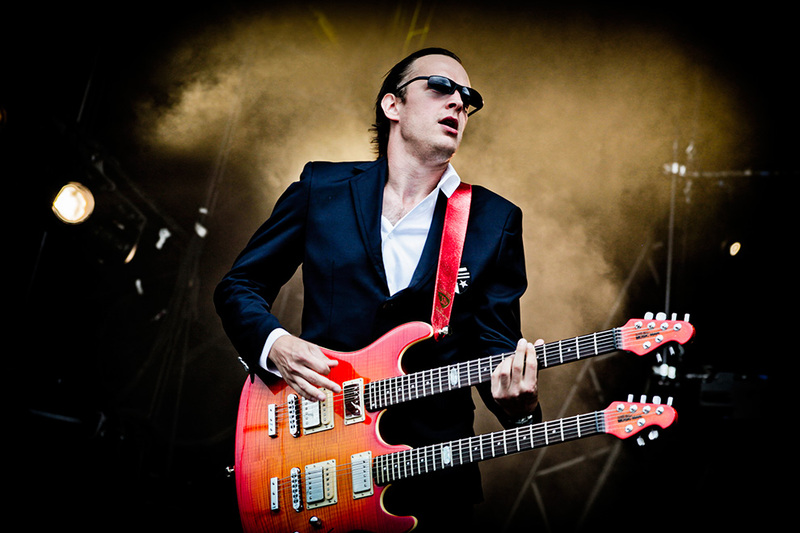 Bonamassa just may be the riffing truth that rock ‘n’ roll is not dead – it’s just on the road. The American blues guitarist is noted for being inspired by British rock acts of the 1960s and ‘70s, a list that includes supreme guitarists of the age – Eric Clapton, Jimmy Page and Jeff Beck – as well as Texas blues artist Stevie Ray Vaughan. Considered one of the greatest guitarists playing today, Bonamassa will show the home audience why when he plays two full sets with two different bands at the Brady Theater, 105 W. Brady St., Tulsa, at 8 p.m. on Nov. 8. Check out his acoustic and electric virtuosity. Tickets are $79-$125 at www.bradytheater.com.